Photograph: Julian Beveridge Walter Ostrom's almost 40-year career in ceramics is reflected in a vast body of work that ranges from some highly conceptual pieces of the 70's to a recent series of dessert plates. 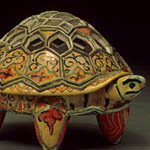 Widely recognized as a seminal teacher for generations of ceramic artists and for the revival of low-fired maiolica, Walter Ostrom has been instrumental in reviving the tenets of craft, such as utility, decoration, and function, and he continues to champion the role of fine craft within the visual arts. A major force in the world of contemporary ceramics, Walter Ostrom is Professor of Ceramics at the Nova Scotia College of Art and Design in Halifax, with which he has been associated with for over 33 years. 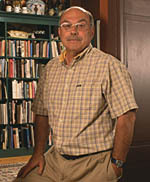 He is also Honorary Professor of ceramics at the Jingdezhen Ceramic Institute in Jingdezhen, China. 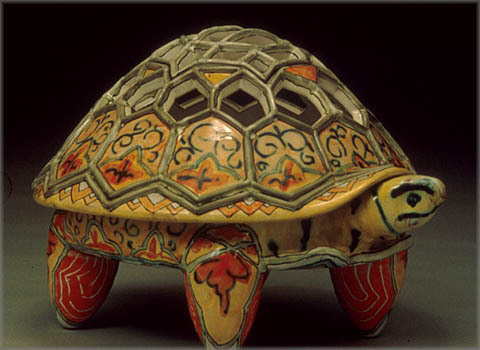 Ostrom is regarded internationally as a technical and academic expert in low-fire maiolica production, an ancient ceramic technique that he has personally tailored through innovations and decorative methods to reflect the geography of the places he has lived, be it Nova Scotia or Asia. In the span of his nearly 40-year career, Ostrom has investigated many aspects of ceramics in his work, from experiments in high conceptualism in the 1970s to his current focus on the exploration of the vast history, hybridization and social foundation of ceramics. 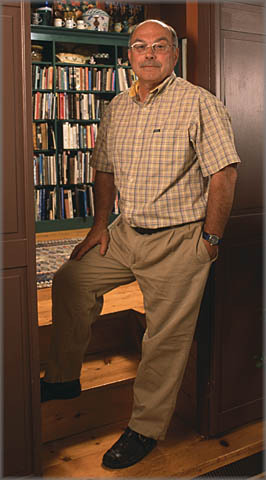 Ostrom's work has been exhibited throughout Canada, and in Europe, China, Australia and the United States.